You've found the home of your dreams and you're ready to make an offer, but a mortgage lender hasn't pre-approved you for a loan. Nothing prevents you from making an offer before you've secured mortgage financing. However, sellers might prefer to accept offers from buyers who have already earned commitments from their mortgage lenders. There are no rules or laws to prevent one from making an offer on a house, even if the person doesn't have a mortgage approval. Earning pre-approval from a mortgage lender is an important part of the house-hunting process. When you are pre-approved it means that a lender has studied your finances and credit and has committed to lending you a specific amount of mortgage dollars. The lender is just waiting for you to find the right home and make an offer on that property. Once you're pre-approved, your lender will send you a letter stating how much you can borrow, which you can show to home sellers to prove that you have the financial means to make good on your offer. Many sellers prefer to work with buyers who are pre-approved for mortgage loans because it cuts down on offers that don't pan out. Sellers then don't have to worry that pre-approved buyers won't be able to come up with the money necessary to buy their homes. In such cases, sellers have to put their homes back on the market. You can make an offer even if you've never spoken to a mortgage lender. Not being pre-approved might not even hamper your offer if the seller has not received other competing offers. However, if more than one person is bidding on the property and all are offering about the same price, the odds are that the seller would choose a buyer who is pre-approved for mortgage financing over one who is not. Not being pre-approved, then, could cost you the right home for you and your family. When you make an offer without mortgage approval, you are making what is known as a contingent offer. Your offer is only valid if you actually get approval for a mortgage loan. If you never do get this approval, your offer is null and void. If your offer falls through, or if you fail to get financing, the earnest money deposit that you made will be returned to you. To get pre-approved, you'll have to fill out a mortgage application with a lender. This application will ask for your basic financial information, such as your annual salary, your place of employment, how long you've worked with your employer and whether you've declared bankruptcy in the last seven years. You'll also have to provide copies of financial documents that will help your lender verify your monthly income. Such documents include your last two months' worth of bank statements, last two work paycheck stubs and last two years of income tax returns. Your lender will also check your credit to make sure that you have a history of paying your bills on time. Once the lender studies your finances and credit, a loan officer will write you a letter explaining how much money the lender will lend to you. This not only makes you a more attractive buyer, it also tells you exactly how much home you can afford. You do not have to take out your mortgage loan with the lender who pre-approves you. You can still shop around for lower interest rates and fees, however each lender will likely want to check your credit which can cause you to lose some points on your score. 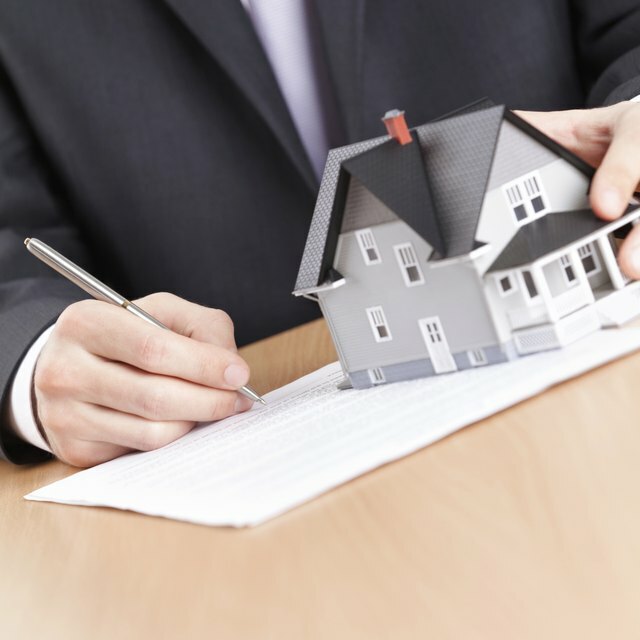 Home Buying Institute: Can I Make an Offer on a House Before I Have my Mortgage Lined Up?